Jonathan Lee has been the choir's Musical Director since it's inception in 2014. He brings a professional yet light hearted attitude to learning new repertoire. His considerable experience in the choral tradition means that we don't just learn new pieces we learn singing techniques that improve our own ability to sing as a choir. Jonathan studied music in South Africa and at Cambridge. 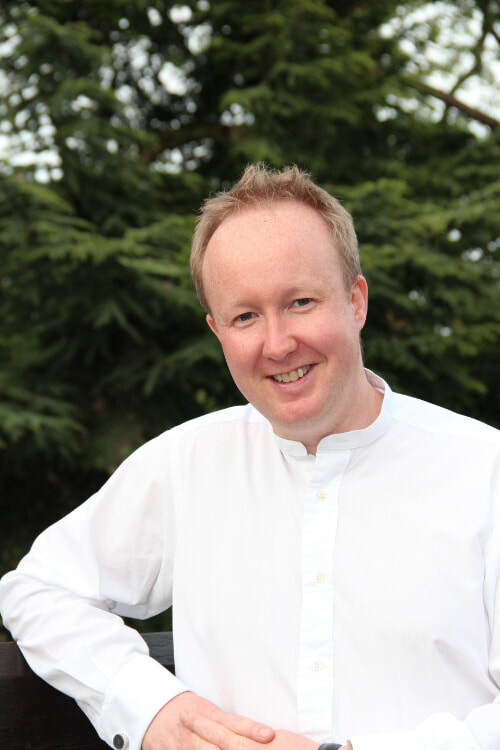 He was an organ scholar at Sidney Sussex college, and is now the school organist and piano accompanist at Berkhamsted School. He also is an active music producer and has made recordings with Amici Voices, St Marylebone Parish Church Choir, the London Gay Men's Chorus, Peterborough Cathedral Choir and the Beauregard Youth Choir. Jonathan was for many years a music editor working for music examinations board, ABRSM, and has been responsible for several sets of the ubiquitous ABRSM piano exam anthologies.